Given the number of positive economic statistics for the area and the state, the director of the Institute for Economic Competitiveness at the University of Central Florida acknowledged this week to the Sarasota County Commission that he was “a little bit surprised” to learn county property values “are still way down from where they were” before the Great Recession. “You’re not as well off as maybe I thought you were,” Sean Snaith said during a presentation that was part of the commission’s March 30 budget workshop. Chair Al Maio pointed out that ad valorem tax revenue went down about 42 percent for the county at the height of the Great Recession. 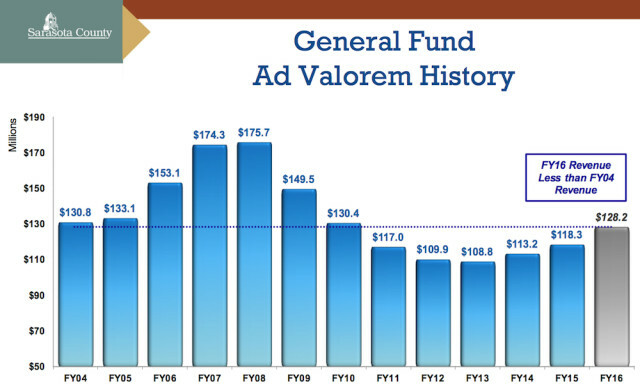 According to a slide staff showed the board, the county took in $175.7 million in ad valorem tax revenue in the 2008 fiscal year — the peak amount prior to the recession; in FY 2015, the figure was $118.3 million. The county is projected to bring in $128.2 million this fiscal year. “Caution is probably a smart path forward,” Snaith told the board. He understood that, Snaith told her. “At the surface, things are booming.” The economic downturn did not have as severe an impact on jobs in Sarasota County, he noted, and the county’s GDP is on track to approach the $17-billion mark by 2019. Still, he said, board members need to remind their constituents about the imbalance in the correlation between traffic they see on the road and tax revenue collections. This recovery is approaching its seventh year, he pointed out. Some recoveries have lasted longer than the current one, he noted, including the one after the 1991 recession. In approximately the seventh year of that recovery, he said, “the ‘dot.com’ boom was raging,” so the next recession did not begin until 2001. In the post-war era, Snaith noted, the average period of a recovery is five years. Still, he said, he does not anticipate the next recession being as bad as the previous one. 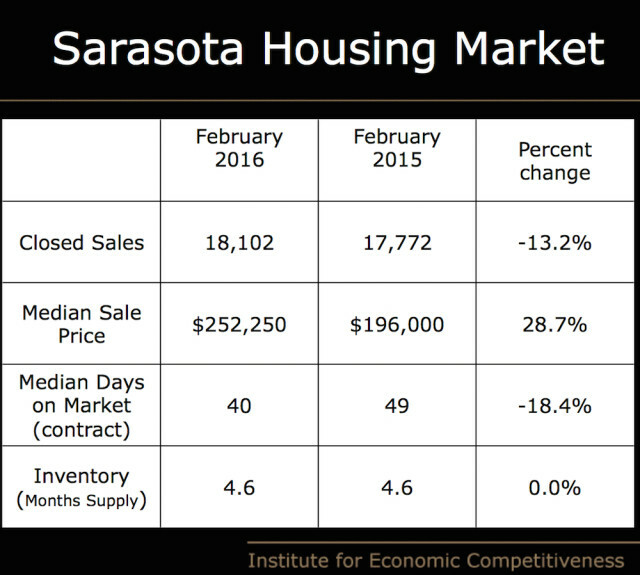 In Sarasota County, he noted, sales of houses are down year-over-year. When he saw that, he told the board, his first thought was, “The financial market giveth, and the financial market taketh away.” Sarasota County “has benefited from this tremendous bull run in the financial markets,” he pointed out. Likewise, the decline in the markets at the start of 2016 has had an impact. Still, prices “are up dramatically year-over-year,” he said. Robinson told Snaith she hears a lot of questions about why the County Commission is not doing more to create affordable housing in the community. 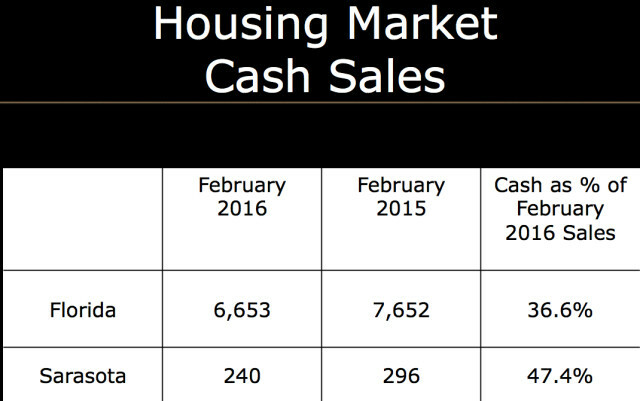 In looking at his data, she continued, it appears that not enough inventory of single-family homes exists to allow for affordable housing. “I would agree with that statement,” Snaith replied. In 2005, Florida saw construction of far more homes than those justified by the population and job growth, he pointed out. At this time in the state, people need more houses than developers are building. Then the argument from the public becomes, “‘Why don’t you make people build affordable housing?’” Robinson told him. A government body can provide incentives for affordable housing, Snaith responded, but “markets always in the long run win out.” If it is an issue of the “heavy hand of government” versus the invisible market forces, he added, the invisible market forces will prevail. Why are our tax dollars being used to pay this “free” market acolyte? 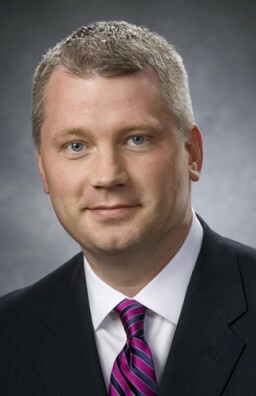 Follow this link (https://issuu.com/ucfbusiness/docs/usforecast_may07/1) to Dr. Snaith’s incorrect 2007 forecast of the housing market and read how he ridicules the predictions of his peers who were correctly seeing the coming collapse the following year. And how is he still blaming the borrower for the crisis when there is plenty of reporting that exposed many lenders’ shady dealings? Did he also happen to mention the “easy sugar high” of credit default swaps? I would also like to read his commentary on “the heavy hand of government” after the government bailed out the financial sector. Maybe it’s not an “Invisible Hand” after all. Maybe it’s that they just choose not to see it.